We at DKFD (Deltech Kiln and Furnace Design, LLC) are excited to announce that we recently achieved ISO 9001:2015 certified status for our Denver, Colorado location. Platinum Registration, a Denver, Colorado based firm, was our certifying agency. The scope of our certification is for the “design and supply of electric laboratory and production furnaces and related control systems”. Click here to view and print a copy of our certificate. This is a highly significant milestone for our fledgling organization, providing assurance to current and future clients that our services and products have been and will be carefully and consistently vetted for accuracy, quality, and traceability; and that detailed records will be kept. We received expertise and financial assistance for this effort from Manufacturer’s AdvantEdge . They arranged for us to receive extensive assistance from Cavendish Scott at a significantly reduced rate. Our strategic plan includes achieving ASME NQA-1 certified status. Efforts will begin this May with attendance at a three day intensive training class offered by ProcessQM and recommended to us by the highly qualified Quality Manager for one of our clients. 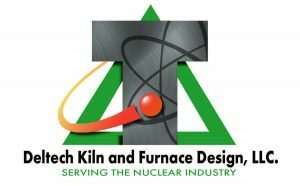 While the company was created specifically to serve the unique needs of the nuclear industry, we are positioned to offer custom furnace designs to the wider scientific and manufacturing communities. We can also supply the designed furnace systems by partnering with Deltech, Inc. (Deltech Furnaces), as we are doing for some of our current projects.